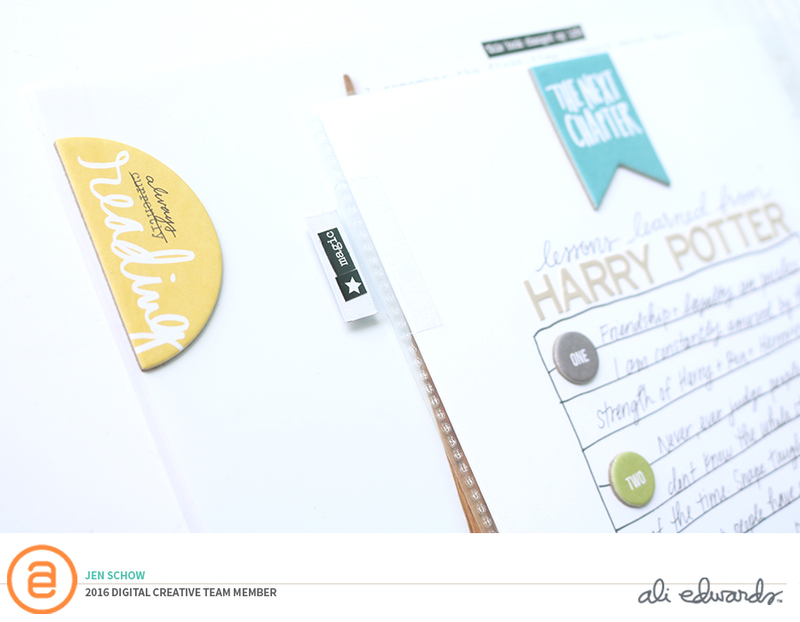 When I saw the theme for this month's AE Story Kit, I knew immediately that I had to do a layout about our family's love for Harry Potter. As I thought about all of the things I wanted to include, I discovered that there were stories within the story so I decided to create a series of pages in my album. It ended up being an 8 1/2 x 11 full photo layout, a Becky Higgins design J pocket page (front and back) and a 7ishx9ish insert. And I can absolutely see myself adding to this in the future. I love that this kit sparked that kind of story for me. If I was creating something solely based on my photos, it wouldn't have told the same story. Or it would have been spread across several projects and that wouldn't give the same impact. 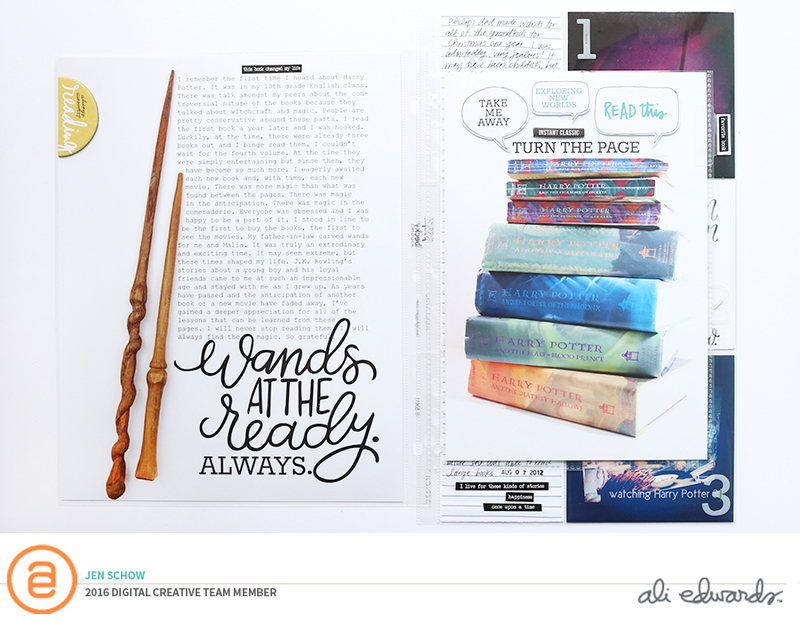 I actually took two photos (the wands and the stack of books) specifically for this project. I love that the photo of the books shows the worn edges of the well-loved book spines. So much. 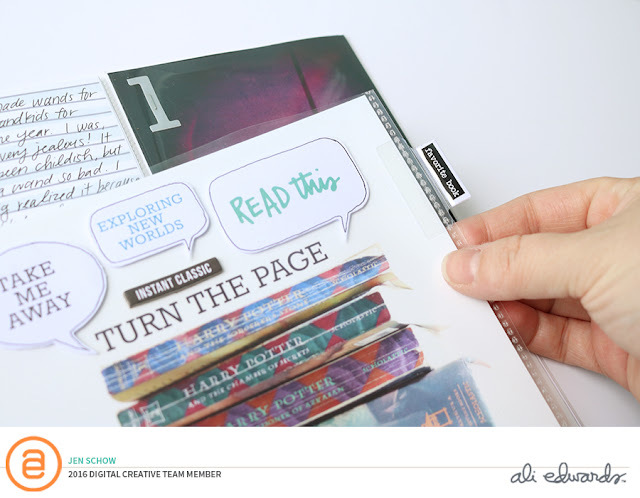 To document this story, I used a combination of the digital and physical Read Story Kit. I believe the physical kit is on a wait list, but you can get the digital kit and it is super awesome. I used digital stamps directly on some photos before I printed. 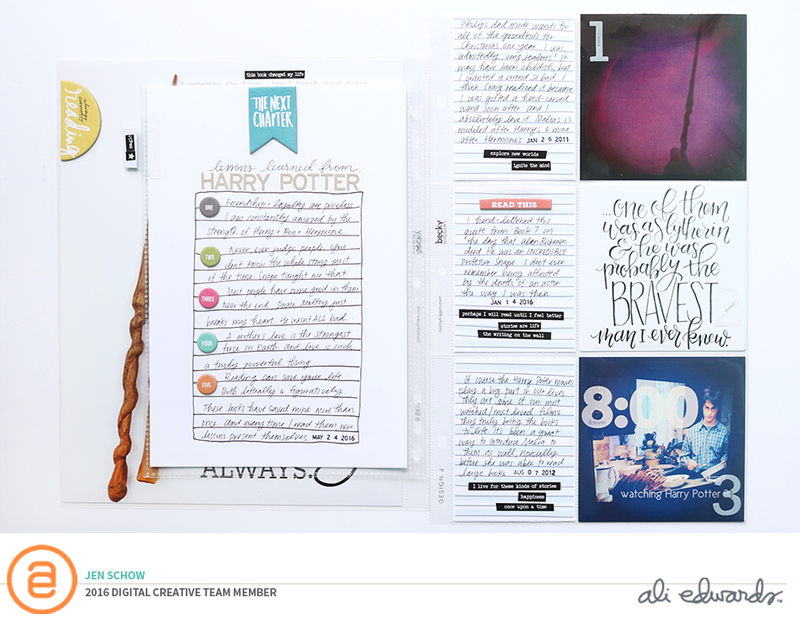 The "Always" stamp was begging to go on this layout. I hand-lettered "Wands at the Ready", digitized it, and added it to my photo as well. I also created some journal cards using the digital Silkscreen Journal Lines and I will definitely be doing that again. It turned out pretty cool, I think. 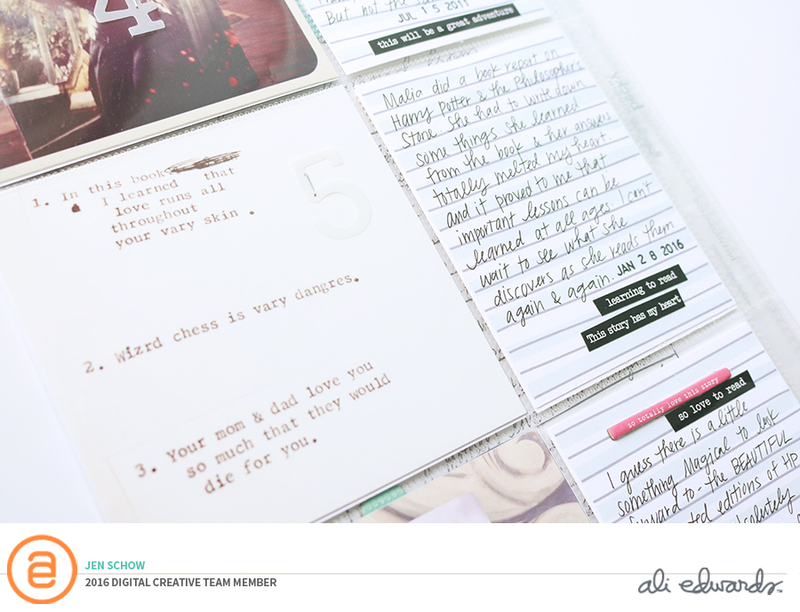 I made a process video for this project and it includes my Photoshop process for adding the digital elements to my photos as well as creating the journal cards. You can watch it below or over on my YouTube channel. I've said it before and I'll say it again, Ali's Story Kits have changed the way I tell stories. And I couldn't be more grateful. Thanks so much for stopping by and be sure to check out the Creative Team Gallery (probably later this month) to see what the other ladies on the CT made with this kit. Love this, SO MUCH! Love that picture of the stack of books, I will have to borrow that idea! 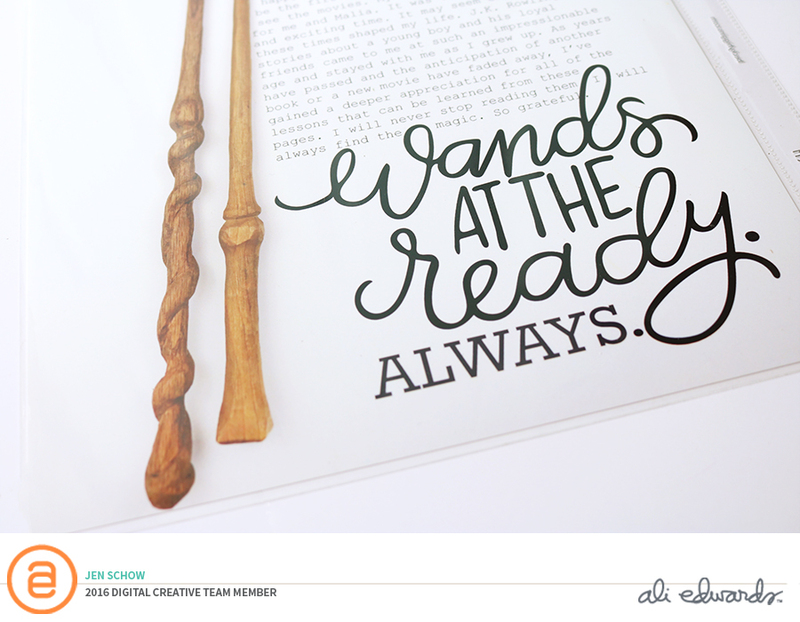 Everything about this is so great, and your handlettering is amazing. I just returned from vacation which included a day at Universal, specifically to go to the Harry Potter portions of the parks. So awesome... I am riding a HP high right now! Haha. Can't wait to get my Read kit and get creating :) Thanks for sharing! Love everything about these pages. Advanced imprinting in NYC is not quite recently more affordable, but rather it likewise spares your time and you can roll out improvements in the print.